Whether you are an international student studying your postgrad program in America, or an American opting to stay home and complete your studies in the USA, we have all the information you need study successfully as a postgrad student in the US. Many American students choose to stay in their home state to complete their postgraduate studies. Here we take a look at the reasons why this can be the most suitable option for some people. Coming to America as a postgrad student is a brilliant way to experience a whole new country and way of life. 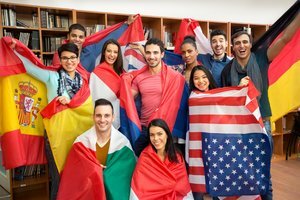 Here we take a look at what it is like be an international student in the USA.